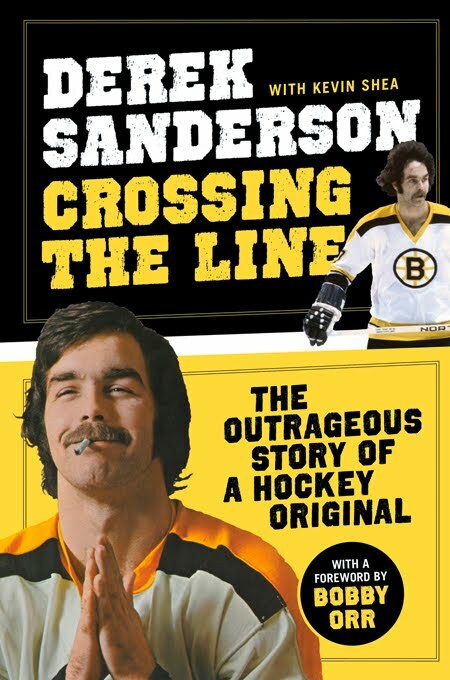 Boston Globe Magazine has an article about Derek Sanderson. One of my favorite players. In this selection from his new autobiography, the onetime hockey star reveals how, after his fabulous Bruins success, his life spiraled out of control. This excerpt from Crossing the Line is printed with the permission of Triumph Books, triumphbooks.com/dereksanderson. HOW DID I SCREW UP MY LIFE SO BADLY? My only dream was to become a professional hockey player. Everything I did, I did to play in the National Hockey League. Now I was 31 years old. I should have been in the prime of my life. I should still have been playing hockey. A few years earlier, in 1972, I was the highest-paid athlete in the world, and yet there I was, being quickly escorted into the bottomless pit of alcoholism and drug addiction. Orr to Sanderson to Orr, and what could be better than that?